I’m always on the lookout for healthy alternative snacks to crisps and nuts. 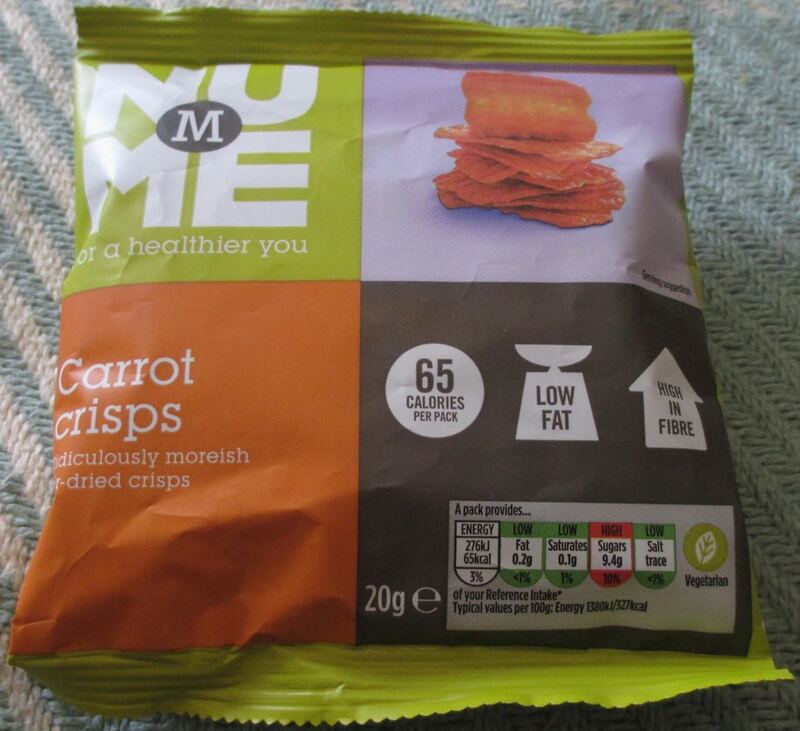 These Carrot Crisps are from the Morrison’s NU ME range. At 65 calories a packet, they are definitely the healthiest crisps I’ve ever eaten. They are air-dried carrot crisps and the packet stated that they are “ridiculously moreish”, which I confess made me more than a little curious. I’m hoping that curiosity doesn’t kill the cat, so to speak. Whatever happens I should at least be able to see better in the dark! 20g bag contains 65 calories, 0.2g of fat, 9.4g of sugar and 1% of salt. Ingredients included; dried carrot, lemon juice from concentrate. My colleague had these last week and I found Tesco do their own version which I now have every afternoon! Exactly the same (dried carrot and lemon juice) but come in a 30g bag at £1 each.